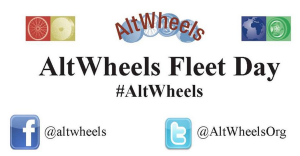 AltWheels Fleet Day is the largest annual gathering of corporate, federal, municipal, and state fleet managers on the East Coast. Designed to present and educate about the latest in transportation technologies, alternative fuels and fleet management practices, AltWheels Fleet Day consists of panels, exhibits, and displays of vehicles offering a showcase of alternative transportation solutions – from concept vehicles to vehicles that are available and saving fleet managers money today. Energy Independence Summit 2019- Register today!